Always your first choice with FirstFx Rapid Currency Exchange ... aiming to provide unbeatable rates - market leading prices. FirstFx... your first choice, for exceptional FX currency exchange rates, backed up by a fast, efficient and secure service. FirstFx... your first choice, for the most competitive exchange rates possible in the market - aiming to beat the banks, competitors and other financial institutions. FirstFx... your first choice, for low cost FX currency exchange, there are no hidden charges or commissions - no additional fees for services, except in the most unusual circumstances. Need FX advice? ... FirstFx... your first choice, for customer friendly dealers who are available to answer your questions and help in any way they can. FirstFx... your first choice for, reliable, safe and secure Rapid Cash Exchange Services - Customers funds are protected under UK client money protection rules, legislation and regulatory guidelines. 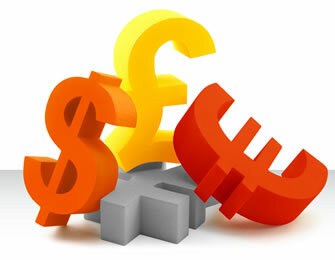 The currency exchange rates quoted here are mid-market price Interbank Market Rates. These give an indication of current market prices. Open an account or logon to FirstFX Logistics to obtain our competitive rates based on any amount. Click here... sit back, relax and enjoy our welcome message. The Calculator is a free indicator of what you might receive using inter-bank rates. Input the amount (the first “Amount” box only), currency you want to convert or sell (“From Currency”) and currency you want to buy (“To Currency”) then press calculate to obtain an indication of the amount of currency you may receive or have bought”. Alternatively use the second (“Amount”) box and leave the first “Amount: box blank to indicate an amount of currency you want to buy and press calculate to receive an indication of how much you would have to pay. © FirstFX Limited 2019. All rights reserved. FirstFX Rapid Cash Exchange is a trademark of FirstFX Limited.